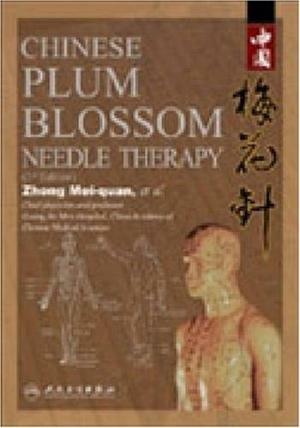 The application of 'plum-blossom' needle therapy has a history of more than 1000 years and has evolved and developed on the basis of the method of ancient tapping therapy. The earliest Chinese medical classic Lingshuching recorded two kinds of tapping: one called 'Maochih', a superficial tapping merely on the skin, but not the flesh; the other was 'Yangchih' - superficial tapping in the centre and four tappings on the periphery. The ancients gave the name of 'plum-blossom' needle to the five needles bound together like a plum-blossom and 'seven-star' needle to the bundle of seven needles. Due to the nature of superficial tapping - injuring the skin but not the flesh and therefore inflicting little pain - it is also known as 'dermal needle' or 'children needle'. Generally, it is 'plum-blossom' needle. This therapy has a wide scope in curing disease, and is worthy of becoming well-known and applied.